سیستم واسط مغز- کامپیوتر مبتنی بر پتانسیل‌های برانگیختة بینایی حالت ماندگار، به‌دلیل مزایایی چون سادگی راه‌اندازی و استفاده از سیستم، صحت کافی و همچنین نرخ تبادل اطلاعات قابل‌قبول، مورد‌ توجه قرار‌ گرفته‌ است. علاوه‌بر این مزایا، برای داشتن سیستمی که در دنیای واقعی قابل‌استفاده بوده و قابلیت کاربرد برخط را داشته باشد، زمان پردازش کوتاه نیز معیاری مهم است. در این مقاله، با ارائة روشی بر‌مبنای استفاده از معیار همبستگی، فرکانس تحریک در SSVEP بازشناسی شده است. روش پیشنهادی در دو مرحلة برون‌خط و برخط انجام می‌شود. در مرحلة برون‌خط، روش CCA استاندارد، بین ثبت SSVEP فرد و سیگنال‌های مرجع سینوسی- کسینوسی اجرا شده و برای ساخت سیگنال‌های الگو از وزن‌های به‌وجود آورندة بیشینة همبستگی استفاده می‌شود. در مرحلة برخط، با محاسبة همبستگی برای سیگنال آزمایش و سیگنال‌های الگو و استفاده از بزرگ‌ترین مقدار همبستگی، فرکانس متناسب با آن به‌عنوان فرکانس تحریک تعیین می‌شود. نتایج شبیه‌سازی، صحت بازشناسی فرکانس بیشتر و در عین حال، زمان محاسبات کمتر روش پیشنهادی را نسبت به روش CCA استاندارد، نشان‌ می‌دهند. Brain-computer interface system based on Steady-state visual evoked potentials is taken into consideration due to advantages such as simplicity of installation and use of the system, enough accurate and acceptable Information transfer rate. In addition to these benefits, short processing time is also an important criterion to have a system that is applicable in real life and have the ability to use online. In this paper, a method based on standard CCA have been present for recognition of stimulus frequency. The proposed method is performed in two stages, offline and online. In the offline stage, the standard CCA is applied to the SSVEP and sin-cos reference signals. After that, template signals are constructed using weights that generate maximum correlation. In online stage, cross correlation between test signal and each template signals are calculated and the stimulus frequency is recognized. The greater accuracy of frequency recognition and less calculation time at the same time are shown by stimulation result. J. Wolpaw and E. W. Wolpaw, “Brain-computer interfaces: principles and practice,” oxford university press, 2012. Q. Liu, K. Chen, Q. Ai, and S. Q. Xie, “Review: Recent development of signal processing algorithms for SSVEP-based brain computer interfaces,” Journal of Medical and Biological Engineering., vol. 34, no. 4, pp. 299–309, 2014. D. Zhu, J. Bieger, G. Garcia Molina, and R. M. Aarts, “A survey of stimulation methods used in SSVEP-based BCIs,” Journal of Computational Intelligence and Neuroscience., vol. 20, no. 1, pp. 1-3, 2010. L. F. Nicolas-Alonso and J. Gomez-Gil, “Brain computer interfaces, a review,” Sensors, vol. 12, no. 2, pp. 1211–1279, 2012. R. M. G. Tello, S. M. T. Muller, T. Bastos-Filho, and A. Ferreira, “A comparison of techniques and technologies for SSVEP classification,” Biosignals and Biorobotics Conference Biosignals and Robotics for Better and Safer Living (BRC), no. 8, pp. 55-67, 2014. R. S. Leow, F. Ibrahim, and M. Moghavvemi, “Development of a steady state visual evoked potential (SSVEP)-based brain computer interface (BCI) system,” Intelligent and Advanced Systems, no. 6, pp. 321–324, 2007. B. Z. Allison, D. J. McFarland, G. Schalk, S. D. Zheng, M. M. Jackson, and J. R. Wolpaw, “Towards an independent brain-computer interface using steady state visual evoked potentials,” ELSEVER, Clinical Neurophysiology, vol. 119, no. 2, pp. 399–408, 2008. M. Cheng, X. Gao, S. Gao, and D. Xu, “Design and implementation of a brain-computer interface with high transfer rates,” IEEE Transactions on Biomedical Engineering, vol. 49, no. 10, pp. 1181–1186, 2002. Y. Wang, R. Wang, X. Gao, B. Hong, and S. Gao, “A practical VEP-based brain-computer interface,” IEEE Transactions on Neural Systems and Rehabilitation Engineering,vol. 14, no. 2, pp. 234–240, 2006. M. Rafael, O. Sansana, and M. R. O. Sansana, “BCI-based spatial navigation control: a comparison study,” universidade de lisboa, 2016. Y. Zhang, G. Zhou, J. Jin, M. Wang, X. Wang, and A. Cichocki, “L1-regularized multiway canonical correlation analysis for SSVEP-based BCI,” IEEE Transactions on Neural Systems and Rehabilitation Engineering , vol. 21, no. 6, pp. 887–896, 2013. Z. Lin, C. Zhang, W. Wu, and X. Gao, “Frequency recognition based on canonical correlation analysis for SSVEP-Based BCIs,” IEEE Transactions on Biomedical Engineering , vol. 54, no. 6, pp. 1172–1176,2007. Y. Wang, Y.-T. Wang, and T.-P. Jung, “Visual stimulus design for high-rate SSVEP BCI,” Electronics Letters , vol. 46, no. 15, p. 1057, 2010. X. Chen, Z. Chen, S. Gao, and X. Gao, “A high-ITR SSVEP-based BCI speller,” Journal of Brain-Computer Interfaces, vol. 1, no. 3–4, pp. 181–191, 2014. Y. Zhang, G. Zhou, J. Jin, X. Wang, and A. Cichocki, “Frequency recognition in SSVEP-based BCI using multiset canonical correlation analysis.,” International Journal of Neural Systems ., vol. 24, no. 4, p. 1450013, 2014. M. A. Aceves-Fernandez, S. M. Fernandez-Fraga, J. C. Pedraza-Ortega, and S. Tovar-Arriaga, “EEG Signal Analysis Methods Based on Steady State Visual Evoked Potential Stimuli for the Development of Brain Computer Interfaces: A Review,” American Journal of Computer Science and Engineering Survey., vol. 4, no. 1, pp. 001–018, 2016. L. Cao, Z. Ju, J. Li, R. Jian, and C. Jiang, “Sequence detection analysis based on canonical correlation for steady-state visual evoked potential brain computer interfaces,” Journal of Neuroscience Methods, vol. 253, pp. 10–17, 2015. C. S. Wei, Y. P. Lin, Y. Wang, Y. Te Wang, and T. P. Jung, “Detection of steady-state visual-evoked potential using differential canonical correlation analysis,” Neural Engineering (NER), pp. 57–60, 2013. Y. Zhang, J. Jin, X. Qing, B. Wang, and X. Wang, “LASSO based stimulus frequency recognition model for SSVEP BCIs,” Biomedical Signal Processing and Control, vol. 7, no. 2, pp. 104–111, 2012. G. Bin, X. Gao, Y. Wang, B. Hong, and S. Gao, “VEP-based brain-computer interfaces: Time, frequency, and code modulations,” IEEE Computational Intelligence Magazine ., vol. 4, no. 4, pp. 22–26, 2009. G. Bin, X. Gao, Y. Wang, Y. Li, B. Hong, and S. Gao, “A high-speed BCI based on code modulation VEP .,” Journal of Neural Engineering., vol. 8, no. 2, p. 25015, 2011. C. H. Wu et al., “Frequency recognition in an SSVEP-based brain computer interface using empirical mode decomposition and refined generalized zero-crossing,” J. Neurosci. 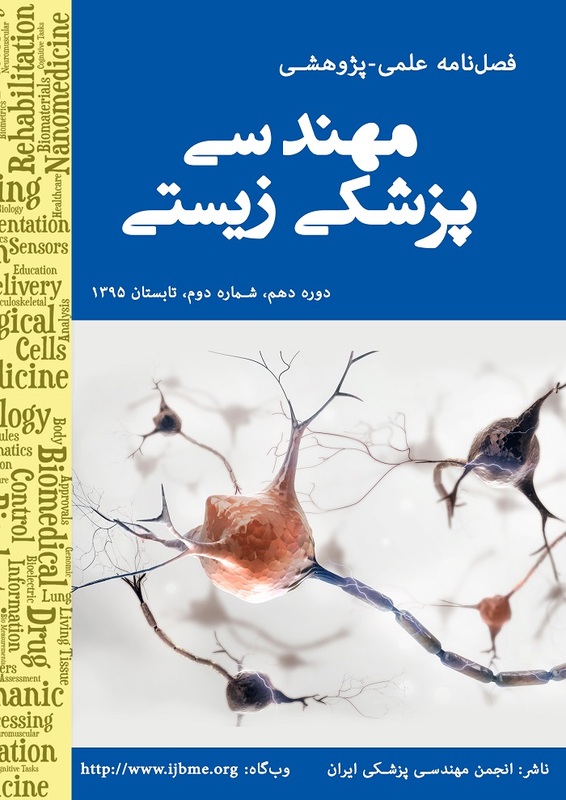 Met Journal of Neuroscience Methods hods, vol. 196, no. 1, pp. 170-181, 2011. W. Nan et al., “A comparison of minimum energy combination and canonical correlation analysis for SSVEP detection,” Neural Engineering (NER), no. 3, pp. 469–472, 2011. G. Bin, X. Gao, Z. Yan, B. Hong, and S. Gao, “An online multi-channel SSVEP-based brain – computer interface using a canonical correlation analysis method,” Journal of Neural Engineering., vol. 6, no. 46002, pp. 1–6, 2009. Y. Zhang et al., “Multiway Canonical Correlation Analysis for Frequency Components Recognition in,” InternationInternational Conference on Neural Information Processingal Conference on Neural Information Processing., pp. 1–9, 2011.